So you’re looking for a construction job in Vancouver. Whether you are new to the construction industry or you are between projects, the search for a construction job in Vancouver could be lengthy. Most would say that job boards are the best place to start. Where do you go next after you’ve spent days looking through job boards? If you are driven to succeed in the construction industry, then these methods can help you find a construction gig in a city like Vancouver. Both new and experienced construction workers can find opportunities through job boards, events & associations, construction company websites, and employment agencies. Construction workers can also find gigs through the Faber Connect platform. Job boards are the first place you might go to in your search. Craigslist was by far the most popular place to find a construction job in Vancouver. This can be the default place for all contractors and companies to post jobs. Kijiji works well in some parts of British Columbia, but for the most part, works better in the east coast of Canada. Kijiji is still worth checking every now and then, although the number of jobs is much smaller than what’s found on Craigslist. If you are a more skilled tradesperson, then you’ve probably noticed that some of the postings you find on Kijiji and Craigslist aren’t the best. Indeed is a better bet for the more experienced construction workers. Indeed has a higher barrier for companies to post a job, and most of the postings on Indeed are descriptive so you know what you are applying for. Attending career fairs, events, or signing up for a construction association can also be worth checking out. One of the more notable associations is the VRCA – Vancouver Regional Construction Association. Fairs, events, and associations involve more networking and meeting employers face to face. This is big if you want to learn more about what certain companies offer. The problem with attending events, fairs, and associations is finding them in the first place. There are plenty of events that occur in Vancouver, but not all of them are public. Some of these events might even be exclusive to members or students of particular schools or associations. This is a pretty good way to find a construction job, although you will have to invest time in transiting to attend events or possible member fees to become part of an association. Company websites are a good place to look for construction jobs. If a company is posting a job on their website, then they have definitely taken some thought in putting together a description. With that being said, most of the time these opportunities are for more experienced skilled tradespeople. Are these positions relevant to your experience or trade? Staffing or recruitment agencies speak with companies and find workers based on the company’s needs. Staffing and recruitment agencies are usually used when companies are looking for people who are extremely experienced, highly qualified or have niche skills that are in high demand. For example, positions like Site Managers and Construction Safety Officers (CSOs) are likely to be found through recruitment agencies. On the flip side of the coin, there are temporary labour agencies. Temp agencies are commonly seen as the last choice for people to find construction work. A temp agency provides any kind of work to people who are in a pinch and need a job right now. Keep in mind that some temp labour agencies may provide jobs on a first-come-first-serve basis. This could mean lining up at 5:30 AM to get first dibs on a job. 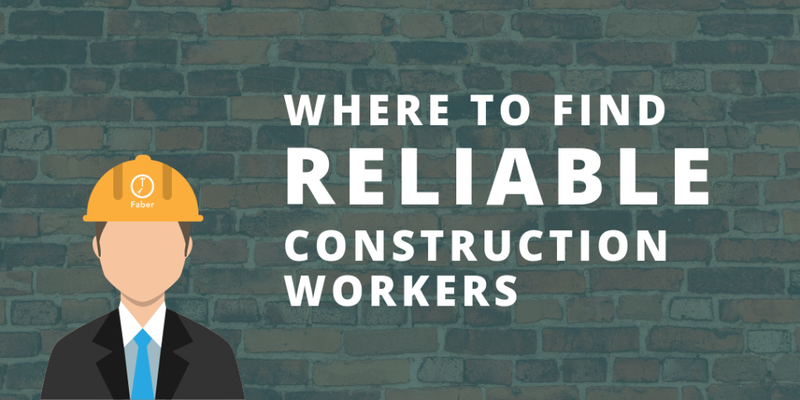 When it comes to finding quality and fulfilling construction work, a temporary labour agency could be a mixed bag. If you want to find an opportunity to help build your career in construction, try leaving this approach for last. There is an easier way to find construction gigs in Vancouver. 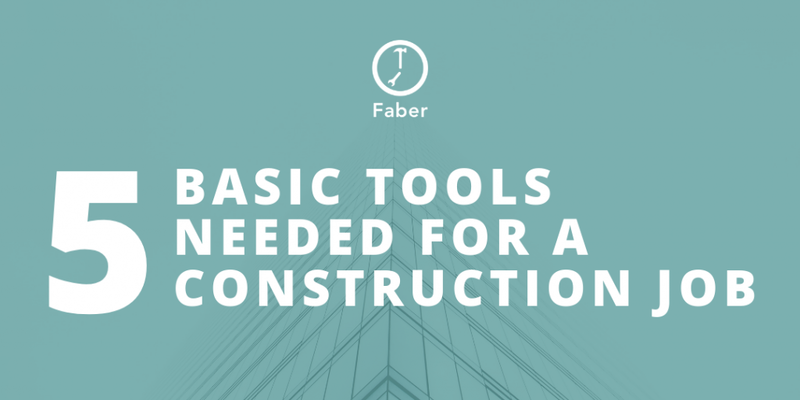 Faber offers both new and experienced construction workers a way to connect with companies in record speed. 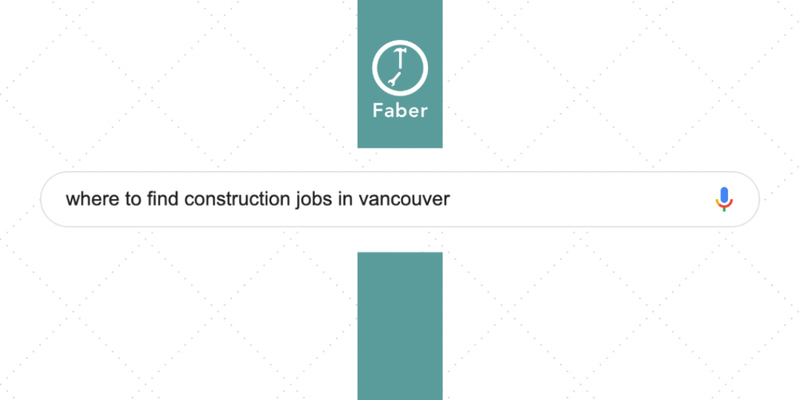 The Faber platform is a marketplace that has only the best construction projects in Vancouver. What connects you to these construction projects is the Faber Worker app. The Faber Worker app helps you skip all the manual work involved with searching for construction projects to work on. 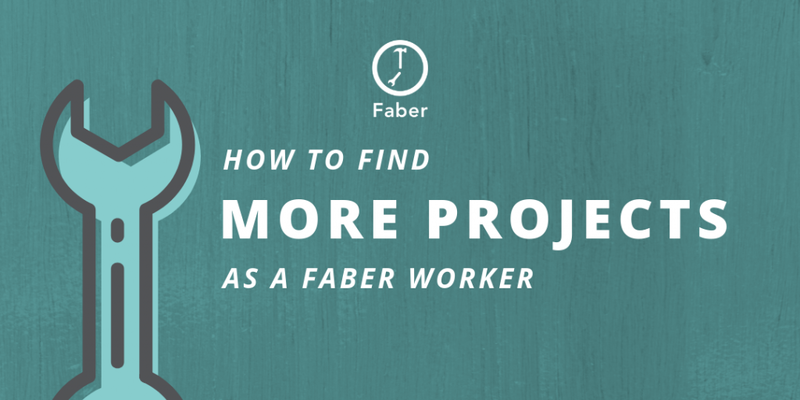 Get matched with Faber projects automatically by building your Faber Worker profile. Save that time spent trolling job boards and career fairs. 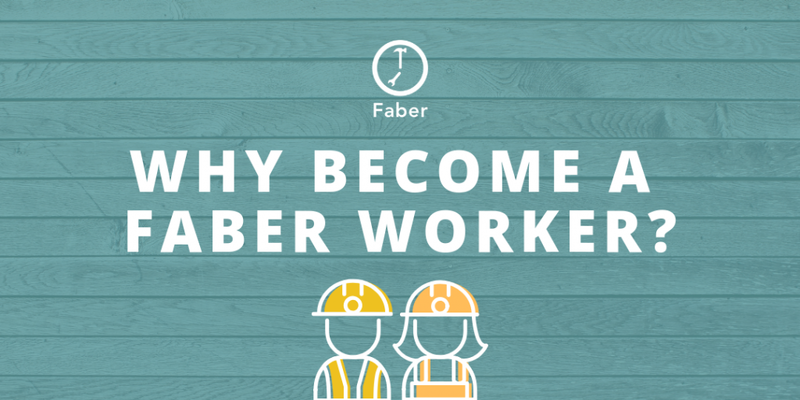 Sign up to be a Faber Worker today, build your profile, and get matched with construction projects without the hassle. © 2019 Faber Technologies Inc.